Fantastical children's theatre for ages 3–7, which follows a curly haired boy named Billy who finds a magical bird nesting in his hair. After the show, join Fidget Theatre for a drama workshop where you will explore creative ways to tell stories and imagine if you had three magical wishes, what would you wish for? Fidget Theatre take the familiar and make it fantastical, creating playful and imaginative work for young children, their families and anyone who enjoys a good fidget! Running time 1 hour. A bride-to-be tries to find out the identity of her real father in the lead up to her wedding on a Greek island. Faithful film adaptation of Broadway and West End ABBA song musical mega hit with all star cast. Junction, Goole’s multi award-winning centre for the arts, opened its doors in November 2009. 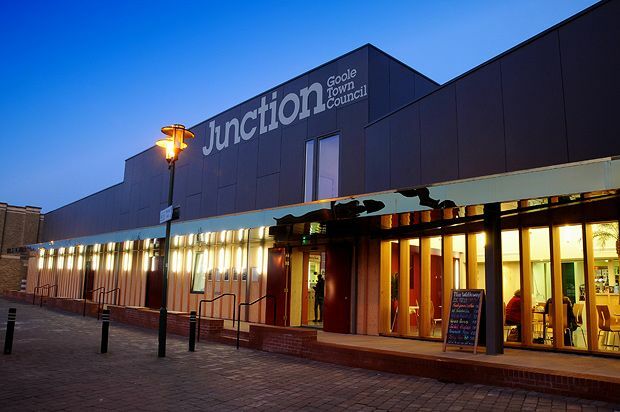 Junction combines three purposes – the administrative and civic base for Goole Town Council, a community centre and a busy mixed-use arts facility, hosting a wide range of live events, cinema and satellite screenings, a workshop programme and activities that reach out into our community. Everything we do is intended to inspire and develop the way all of our communities enjoy the arts and our programme of events treads a careful path to balance popular appeal with excellent and more challenging work. Junction was instrumental in the establishment of the Small Venues Network and is involved in many regional and national initiatives all with the single purpose of bringing the best possible arts activity to the town and embedding it into the life of the area.